Of the hundreds of labels we print, if we had to pick a favourite, it would probably be the waterproof vinyl stickers. We say this because they are so versatile and long lasting that we tend to notice them everywhere we go! Did you know: The stickers that we print are created by exactly the same processes as the stickers and decals that you see on vans and cars for companies. You know that if they work on a vehicle and stand up to the English weather then they’ll pretty much survive any abuse! Vinyl stickers are built to last. They stand up to moisture, UV rays, extreme cold temperatures (within reason!) and they will last years and years without fading or distorting. 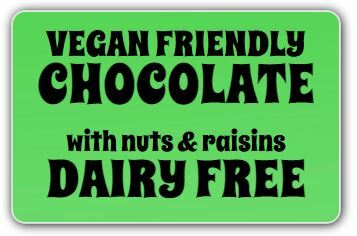 You’ll have seen these stickers on all kinds of electronic devices. They are in place to stop you from taking the devices to pieces and messing with the complex workings within! These are perfect if you want to protect your warranty or prevent people from undoing your good work! If you were a plumber for example, you may want to know that a boiler you’d installed had not been messed with – so these VOID IF REMOVED stickers help to limit tampering with internal workings by instantly letting you know it’s been taken apart. Other applications would be computer components of machine parts. Perfect for business use! Leading on from the void stickers, it’s good to keep track of work that has been carried out or needs doing. 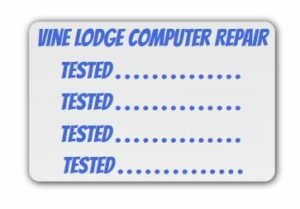 We sell a lot of vinyl stickers to businesses who need to keep track of things like PAT testing or computer repairs. The handy appliance stickers ensure that you can see the last time the appliance or equipment was checked, serviced or repaired. Because they are difficult to remove and unlikely to fade, you will have a permanent record of its history right on the appliance itself. It can also serve to bring back repeat business if you choose to include your contact details or simply serve as a record of work that has been applied to any piece of hardware, which can save a lot of time and hassle! Because of shows like ‘The Great British Bake Off’, it seems like we are a nation of culinary geniuses! But how do we keep track of all those delicious jam names or dates of creation… Or the frozen foods or the ‘best before’ date on that meal in the fridge? Why… vinyl labels of course! Because of their sturdy nature, vinyl labels are perfect for marking Tupperware, jars or bags and can survive life in the fridge or the freezer. As an added bonus, you can get your business name or chef alias on the labels and then add the details with a permanent marker pen so each batch of condiments will have the relevant details on… such as the fruit flavour or the date they were made. Let’s not forget the homebrewers either! What good is a wine if you don’t know what year it was made or what fruit went into it? Even home-brewed beer should bear the maker’s mark with a date so you know when it should be consumed by… If it actually lasts that long! You may already be a home baker or a home brewer but there are also more and more people choosing to create crafted items from home! It may be that you lovingly restore items of furniture in the attractive ‘shabby chic’ style. Maybe you make bespoke wooden items, jewellery or accessories. 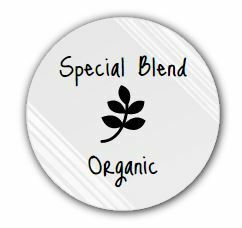 Whatever you create, you can add a vinyl craft label if you want your proud creation to bear the maker’s mark. Because vinyl labels last, you can add your custom sticker to anything you create and use it as a form of advertising or a way of getting back in touch should it ever need to be repaired, updated or the person who owns it would like more. These stickers will stand the test of time and are a great way of getting return customers or reminding the owner of the crafted item that you were the talented individual who created it! Even the most practical of business or home-owners has a limit to their talents and when it comes to certain tasks, it may be better to call in a tradesman or expert to do the job properly and safely. 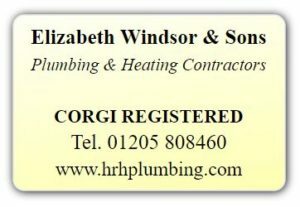 This is where our waterproof ‘Plumbers Labels’ come in really handy (they are not strictly for plumbers but we do sell a lot to them!). 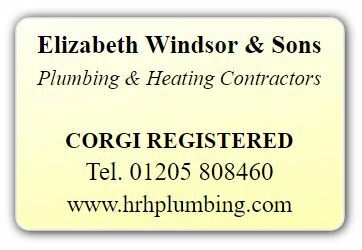 It’s good business practice to keep work coming in by adding a sticker to your handy work, such as boiler repairs, computer systems, home electrics or bespoke kitchens for example. If your sticker is on the item with your name and contact details on there, it will make getting in touch easier for future work. It also shows a level of confidence in the work you’ve done and a simple ‘go-to’ place to retrieve your details should they be required in the future. 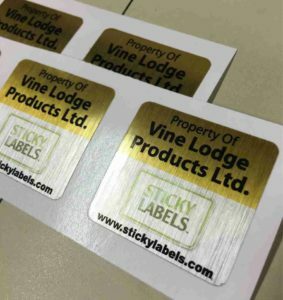 Plus, vinyl labels will withstand the damp or cold so you can be assured that you’ll be found in the future because the label you left will still be there! We’ve covered VOID labels and appliance stickers but one extremely good use for vinyl labels is security. 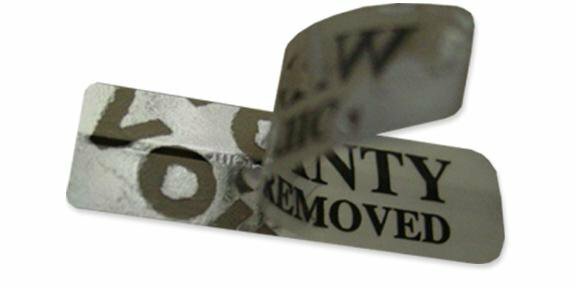 Because they are hard to remove, adhere to just about any surface, and can withstand all kinds of abuse, they are the perfect sticker to label your property. This makes them the tradesman’s friend once again. Instead of spending a fortune on lost or stolen tools, simply apply a personalised vinyl label with your address or contact details on. This can often ensure your items are returned or can deter would-be thieves who won’t want to take the time removing stickers. This goes equally for office equipment, computer hardware, appliances, audio-visual equipment or company property. Waterproof labels are a simple, low-cost way of making sure your property is branded with your details and avoid future loss of items… Or their safe return if the worst happens. Remember that you can apply them out of site if needed, such as inside battery compartments or on the underside of appliances so you can have peace of mind and eliminate any doubt that you own the item. Well, that’s just a handful of uses for vinyl labels but we could write a book about these handy little adhesive friends… Then apply a personalised vinyl sticker to the book so people know it’s ours! There’s no doubt that even though we print thousands of stickers a day, the vinyl variety will always be our favourite because they are the ones we use the most ourselves!